Yesterday WWE 2K's official Twitter announced that Vince McMahon would be a playable character in WWE 2K18 even though he wasn't part of the official roster reveal. 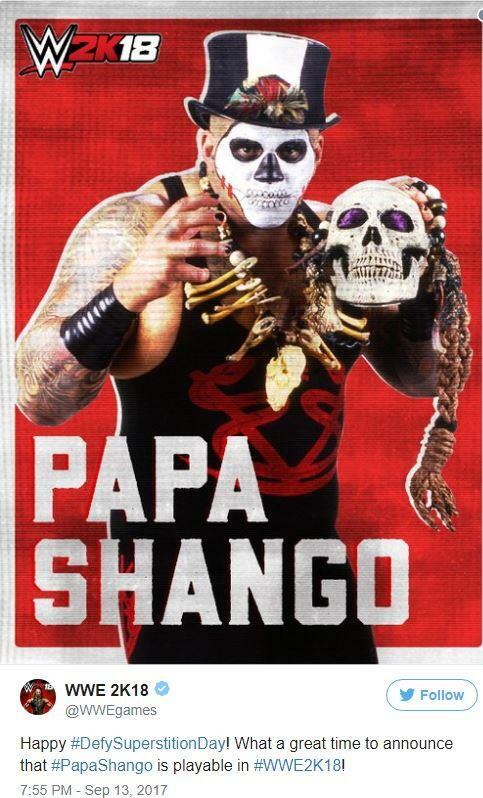 Today they have done so again by confirming that Papa Shango, one of the various gimmicks of Charles Wright (Godfather, Kama Mustafa) will be playable in WWE 2K18. This gives me hope that guys that were released by the WWE this year, mainly Simon Gotch and Austin Aries still may be on the roster for WWE 2K18 but WWE chose not to feature them since they are not part of the company anymore.